The men Justinian puts in charge of his military operations keep getting older or more unlikely as the 550s unfold. However they bring success in Italy, the Balkans, Lazica and then most surprisingly in Spain. The peace these victories bring allow the Emperor one last chance to bring the Orthodox and the Monophysites together. Map: The map shows the political distribution of states and nations in 565 AD. This is a general question about Procopius and his writing. Does anyone know what the oldest copy of his work is? And do any actual pieces of paper from his time survive or do we only have copies from the middle ages? That’s a very good question. I don’t immediately know how to answer it. Like you I’m reliant on google or books to tell me the answer. I would guess though that nothing from his actual time exists. That is purely a guess but it tends to be the case with anything written that long ago. Copies were made to prevent the originals from disintegrating or getting lost. I will add this question to my notes though and see if at some point I can come up with a better answer. As far the Secret History is concerned, it seems like that oldest copy is only from the 1600s. Over a thousand years after it was written. But if you find out anything on the topic, it would be great to share. I was wondering as I listened to this episode, since it had only been about a hundred years after the fall of the west, why was the empire resisted with such ferocity as it tried to regain it’s lost territories. It seems to that if a political entity had ruled successfuly over an area for hundreds of years, the people living there would continue to think of themselves as part of that entity for many generations after it desolved. Especially if half of it continued to exist. Did the average citizen of the former western provences still consider themselves part of the Empire during this period? I know that Italy had been ruled in the name of the Emperor, but what of the other territories? And the biggest thing that I’m still trying to understand is why had no one tried to claim the title of Western Emperor. Almost every time a general had rebelled or a territory had broken away prior to the collapse of the west, someone had always tried to claim an Imperial title. The idea of the Emperor as having some sort of supreme authority is seen in the Spanish embassy to Constantinople so I don’t feel it could have been a simple matter a general waning of the idea of an Emperor. Any thoughts on the matter? I ‘m sorry for being so long winded, but this stuff has been bugging me since Bellasarius invaded Italy. Keep up the good work! 1) I don’t think the Empire was fiercely resisted by its former citizens. In Africa and Spain the locals were clearly happy to be working with Imperial forces to throw out their German rulers. In Italy the same was true until Totila became the Gothic King. At that point the war was becoming ruinous for the average Italian. Their food was being taken by the soldiers and their savings by the tax collectors. I think it’s easy to understand under those circumstances why someone would turn to Totila for protection and support. – The Goths had been in charge for 50 years at that point. So any Italians of fighting age wouldn’t have known rule from Constantinople. – The Imperial soldiers would have seemed more foreign that the Goths in many cases. Not just the barbarian mercenaries but if you were a Greek speaking soldier from Anatolia it’s doubtful that you and an Italian peasant farmer would have had much in common. 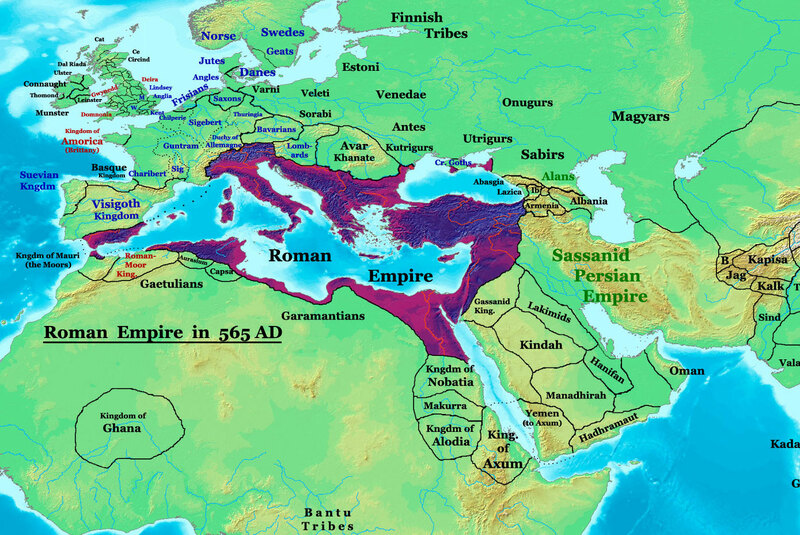 – Although the Western Empire had technically come to an end in 476 it had ceased to effectively defend its people at least seventy years before that when Rome was sacked. Everyone in the West had spent 150 years turning to their local German tribe for protection rather than expecting what was left of the Empire to do anything. So I think the resistance Justinian’s armies experienced was pretty understandable. When Imperial forces succeeded and behaved well they were welcomed warmly. 2) The question of what “Roman” Spaniards, Gauls, Africans and Italians thought about their own identity varies from place to place. I did talk about this a little in Episodes 7-11. Again it’s important to remember that the local German tribes now controlled the political and military establishment. So even if you dreamt of the Emperor returning to reclaim your province you still had to earn a living. And that meant making nice with your local ruler and his way of doing business. By persecuting the Catholics the Vandals alienated the African population who were therefore very keen to return to the Empire. Whereas many in Italy felt they had the best of both worlds under the Goths. The Goths under Theodoric were careful to let the Italians live as if the Empire had never ended. On top of which their tax officials were far easier to evade than the Emperors. A sense of national allegiance to the Roman Empire had begun to whither since 400 and by 550 although the cultural inheritance remained day to day life had become a local matter. 3) Why did no one pick up the title of Western Roman Emperor? I think because it would have led to war. Remember that no “Roman” was in a position to do this anymore. The only men who could have claimed such a title would have been the King of the Visigoths, Vandals, Franks or Ostrogoths. And by listing those 4 peoples like that I hope you can see why none of them claimed to be Emperor. The title Emperor is essentially the same as King of Kings (in Persia). You would be implying that you were in charge of the Kings who now occupied “your” territory. That would certainly lead to war, something which none of the Kingdoms really wanted or was capable of carrying out. And of course it would have gone down very badly in Constantinople. The sense that the Emperor still ruled the “Western Empire” was a convenient fiction which was acknowledged when it suited people. The Goths ruled Italy at the Emperor’s pleasure for example but that wasn’t the reality. The reality was that Zeno encouraged the Goths to take Italy because they were threatening the capital. If he had changed his mind he wouldn’t have had the men to kick them out. When the Spanish Goths came asking for the Emperor’s help it was essentially just one power asking another for military aid. The envoys of course knew that the “correct” way to address Justinian would be to behave as if he still ruled Spain. 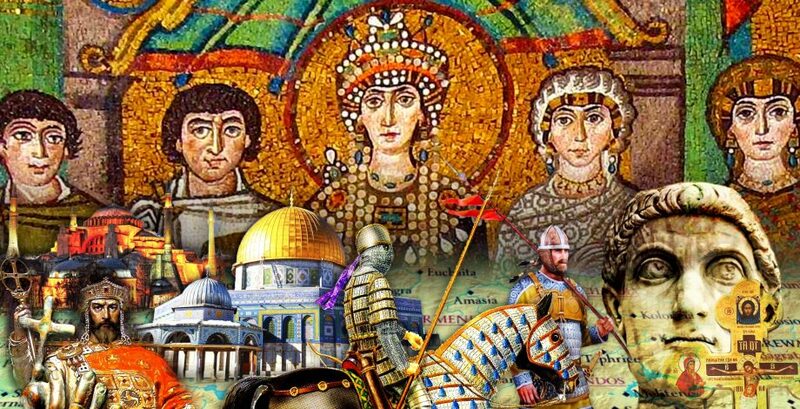 But if they could have resolved their civil war without Imperial troops they would have told the Byzantines to mind their own business. Absolutely! It took me a while to get around to reading your response but I really appreciate you taking the time for such a detailed response. Now I can’t wait to get to Charlemagne and see how the situation on the ground differs between. “Now” and “then”.